Product prices and availability are accurate as of 2019-03-02 07:32:20 EST and are subject to change. Any price and availability information displayed on http://www.amazon.com/ at the time of purchase will apply to the purchase of this product. Non-GMO. Heirloom. Grown naturally without the use of chemicals and pesticides at my seed farm, harvested and packaged by hand in resealable air tight bags (each bag is individually labeled). Each purchase includes a full page seed fact sheet and planting/growing instructions. All seed lots are tested for germination. Jubilee has long been one of AmericaÍs most popular melons. It was introduced about 1963 by the Florida agricultural experiment station. Jubilee was said to have been created by crossing together the varieties Africa 8, Iowa belle, garrison Hawkesbury and Leesburg. 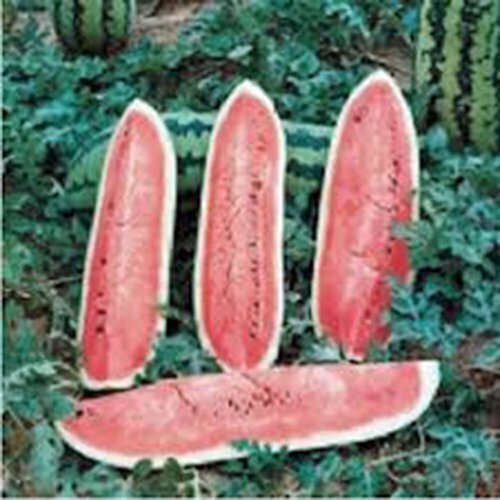 Jubilee watermelon produces melons up to 35 lbs and can be well over a 1'long. They have light green skin with dark green stripes. The flesh is read and very sweet. 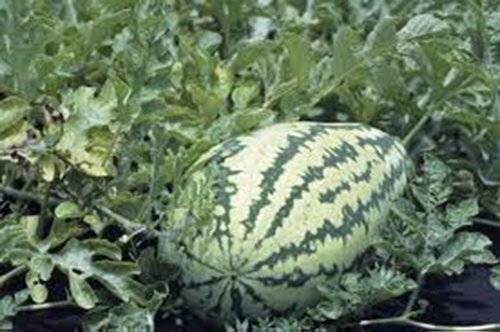 Disease resistant: tolerant to fusarium wilt and anthracnose most watermelons love and need heat, but disease problems can arise from such hot and humid conditions. Jubilee was specifically bred to handle such problems. If you live in the southern United States where conditions are hot and humid this is the watermelon for you! Zones 3-10. Premium garden seed, Non-GMO with great germination from The Dirty Gardener.